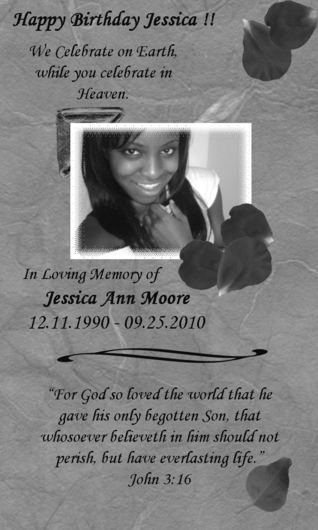 A Tribute from a Stranger A complete stranger was moved by the story told by Jessica's father. 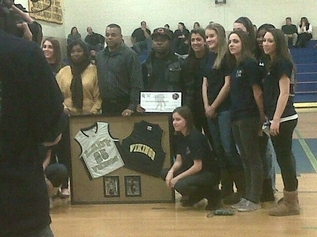 Upper Merion High School softball team, Dr. Phyllis Moore-Tolliver, Olanda Tolliver and Jerrod Moore with retired basketball and softball jerseys and Wounded Warriors project contribution after half-time presentation. 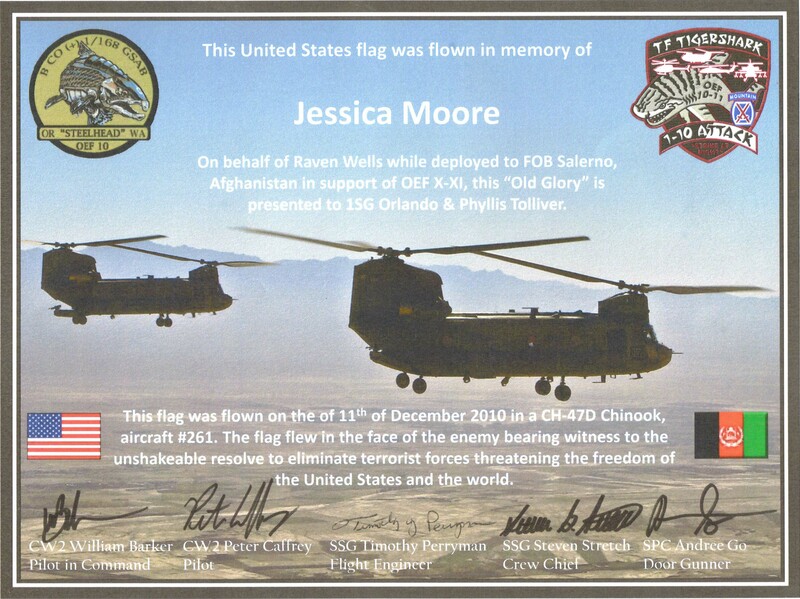 In memory of Jessica Moore on her birthday, the United States Army B CO (+) 1/168 GASB OR "STEELHEADS" WA flew the United States flag over Afghanistan. 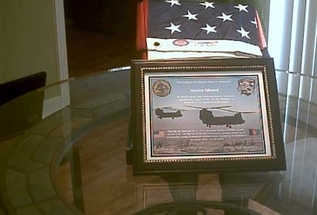 "This flag was flown on the 11th of December 2010 in a CH-47D Chinook, aircraft #261. The flag flew in the face of the enemy bearing witness to the unshakable resolve to eliminate terrorist forces threatening the freedom of the United States and the world." CW2 William Barker, Pilot in Command; CW2 Peter Caffrey, Pilot; SSG Timothy Perryman, Flight Engineer; SSG Steven Stretch, Crew Chief; and SPC Andree Go, Door Gunner. Click on image below to see a full view. Jessica's friend shared this song about the loss of his friend.